To be able to sell jewelry successfully, your skills must be flexible. It is not always the art of selling that you must master. The first thing you have to master is what you are selling. You must know how to detect fake jewelry from authentic ones. Knowing how to polish, cut, repair, and adjust are also valuable skills. You will definitely encounter people who do not want to buy new jewelry instead, they just want their current pieces to look brand new, or they may want to "re-design" it. Jewelers can use their skills to work with multinational jewelry companies. Some are using their skills for self-employment or by building their own business to sell jewelry. New York for example is a very busy state; it may be difficult to find buyers in the area. Almost all are working day and night and have no time to check the jewelry stores. Your obtained degree in handling precious metals and gems plus your persuasive selling skills must be your bread and butter so you can attract buyers to go to you. On the other hand, it also pays to be the one who goes to them and offer your jewelry. Another important skill a jeweler must possess is the knowledge to appraise. This skill is not a one-time major thing to study. Over time, jewelry appreciates in value depending on the content. 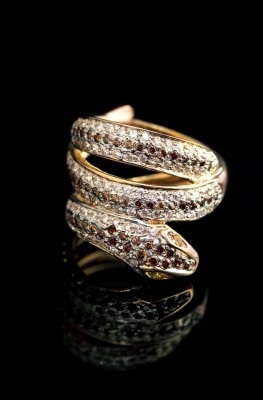 However, there are other things to consider why jewelry may lose its value or may gain additional value. Only a skilled appraiser can do this. When people try to sell their jewelry in shops next to my NYC apartment customer will often ask for an appraisal of their current pieces. As a jeweler, you can charge for appraisals so you can also make money from it even if it is in small amounts. Have Jewelry to sell in the NYC area? Read our guide before making any moves.